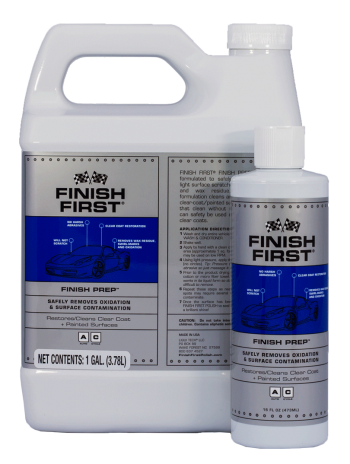 FINISH FIRST meets today’s tough standards of vehicle paint finish care by using advanced technology based on synthetic polymers, similar to the synthetic paint on your car or truck. 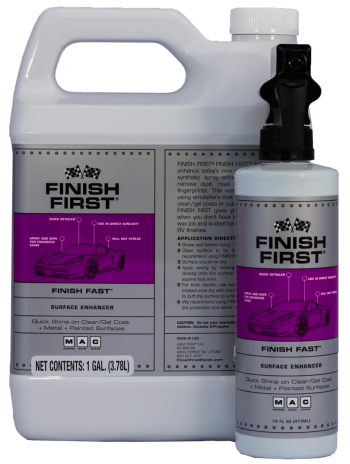 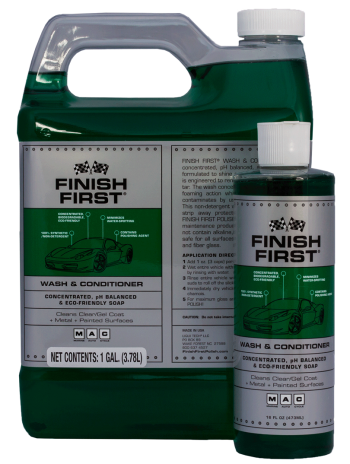 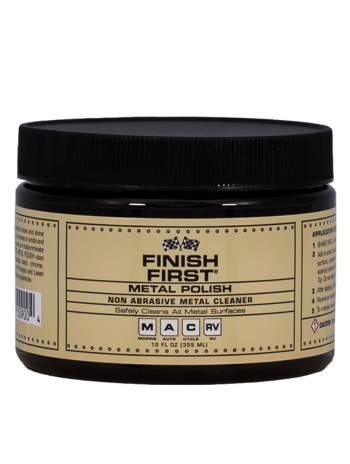 FINISH FIRST high tech auto polish & finish formula contains No waxes, silicones, or Teflon. 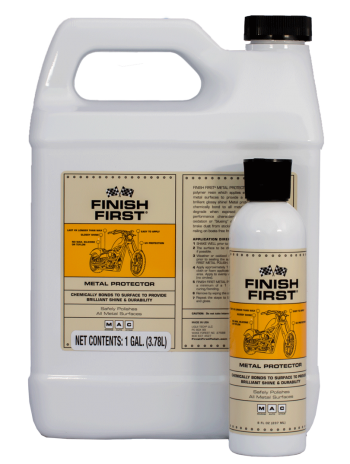 FINISH FIRST uses a synthetic emulsion cleaning agent to dissolve old wax, tar, road film, dirt, and organic contaminants which cling to the paint surface even after washing. 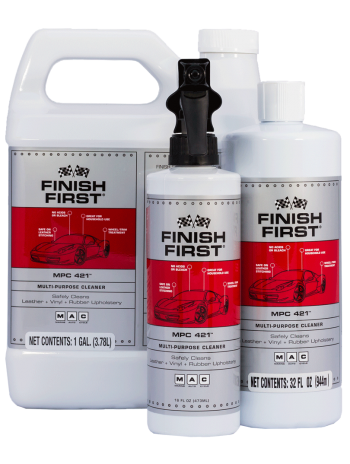 With this cleaning action, you will not create those “swirl” marks on your paints surface that other organic wax cleaners usually leave. 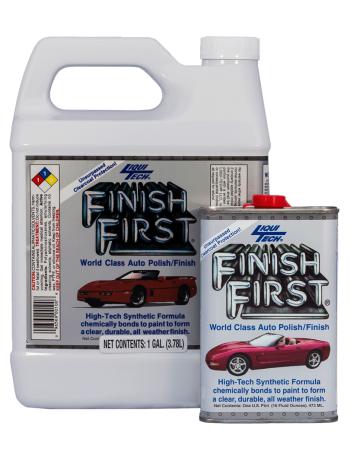 FINISH FIRST contains a synthetic polymer which, unlike a wax, will bond itself to the paint finish. 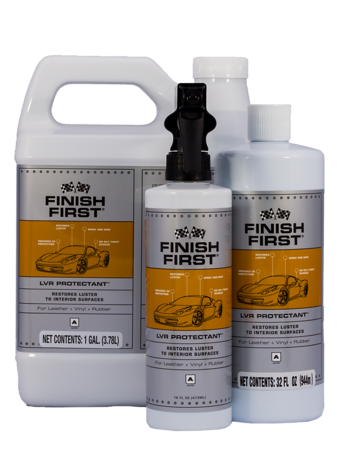 This synthetic coating layer then cures into a tough, clear, protective, mirror-like finish which enhances your protection and enriches the depth of the gloss. 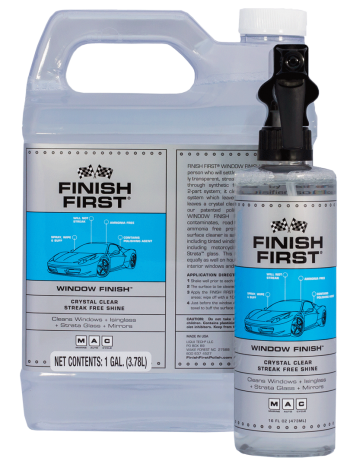 This coating will provide protection in a normal environment for approximately 6 to 9 months.